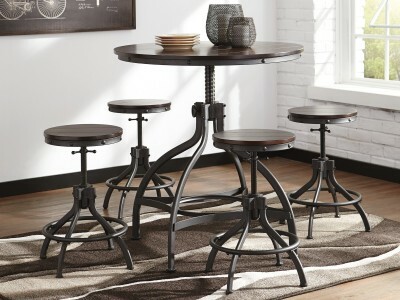 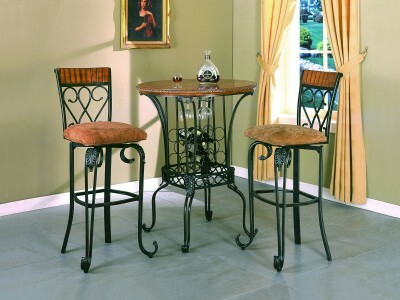 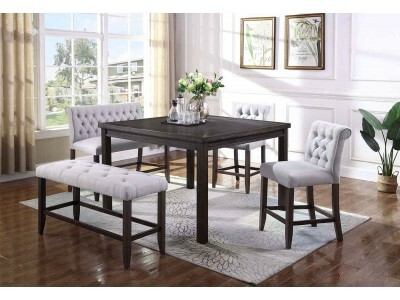 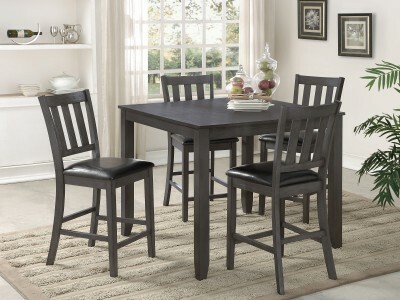 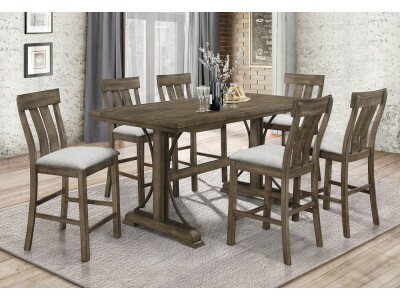 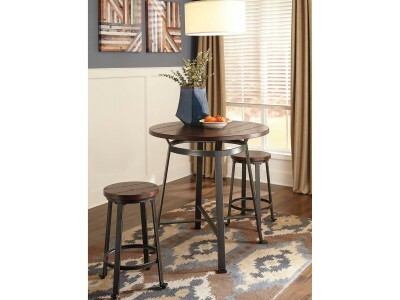 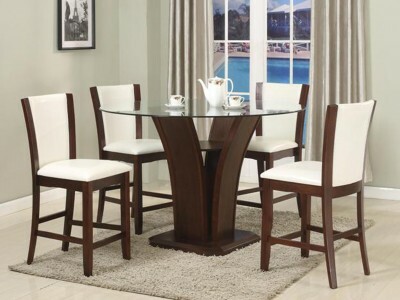 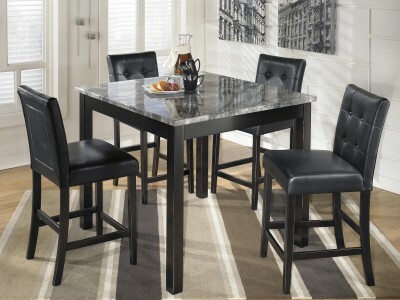 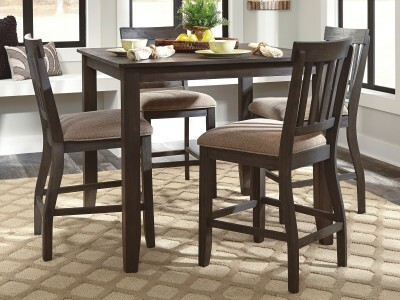 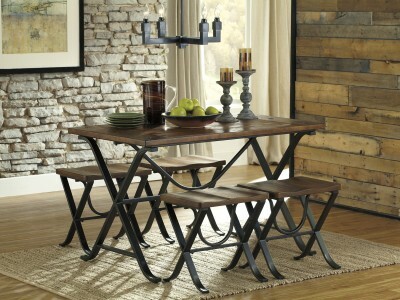 Rustic in feel with modern appeal, this timeless counter height table is styled with fascinating fla..
(5 pieces table set)Includes: 1 Table, 4 ChairDimensions: 42” x 42” x 36”H .. 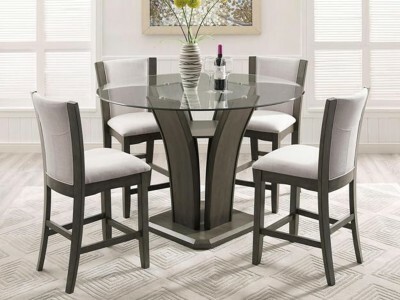 The square shape of the Antille counter height table offers comfortable dining without taking up t..
Dine at the intersection of sleek and chic. 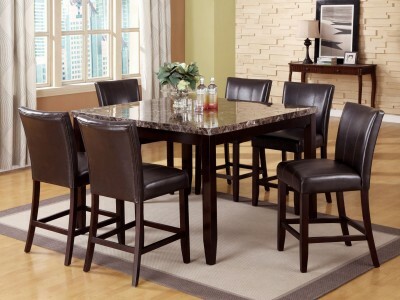 Veneered plank tabletop and seats are highlighted by s..